Finally got around to taking photos of our invites and programs. We had a lot of fun designing and putting them all together. 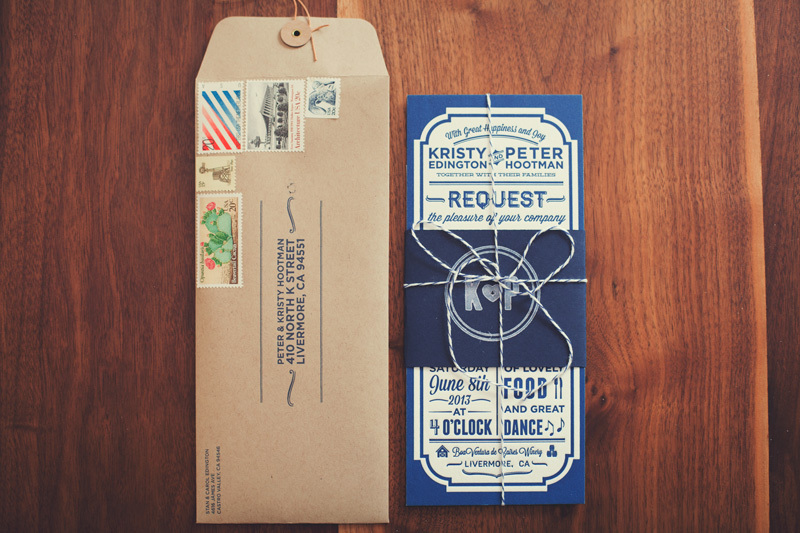 I had the main invite letterpressed at Twig and Fig on 220lb letterpress paper. 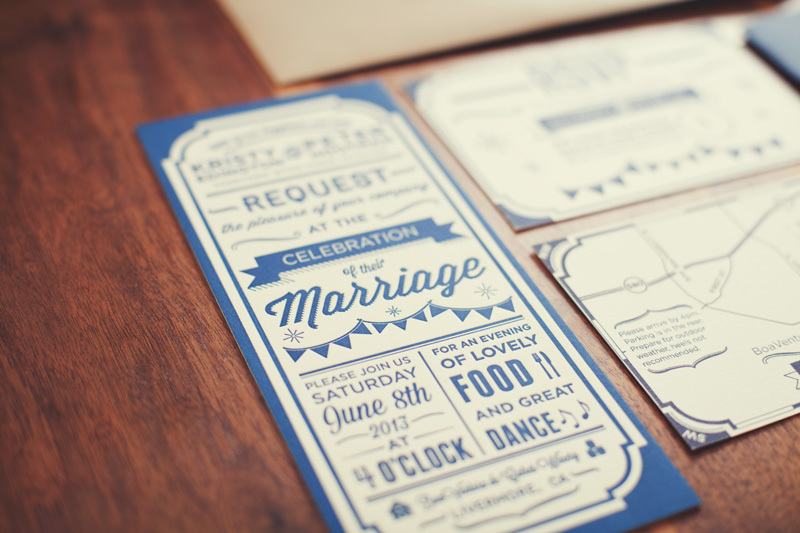 The RSVP, map, rehearsal invite, and envelops I printed at home on craft paper and 110lb letterpress paper. We made our own belly bands and stamped them with a custom stamp and then tied it all together with navy and white butchers twine. My mother had a shoe box full of old unused postage so we got to be creative with stamps as well. We also used rubber number stamps on the RSVP card to indicate how many seats we had reserved for each party. We were able to get them hand-canceled and they came through the mail quite nicely. We also designed and made program fans out of cover stock and wood sticks. 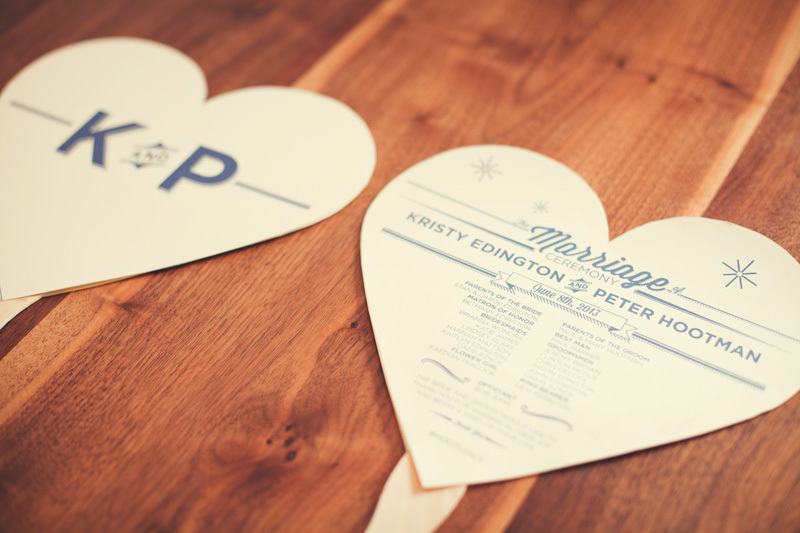 It took a lot of cutting and taping but it was worth it since it was 110F on our wedding day. 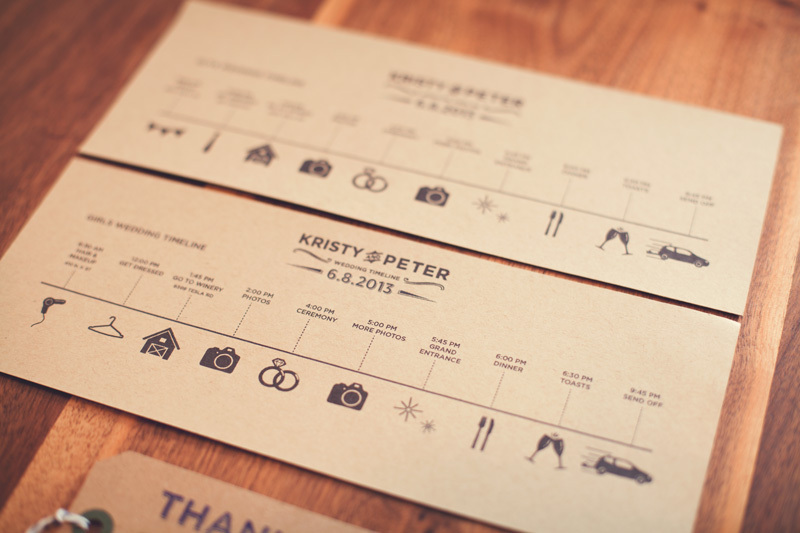 We also made our own timeline that we printed on craft paper as well as thank you hangtags that we tied to our favors. 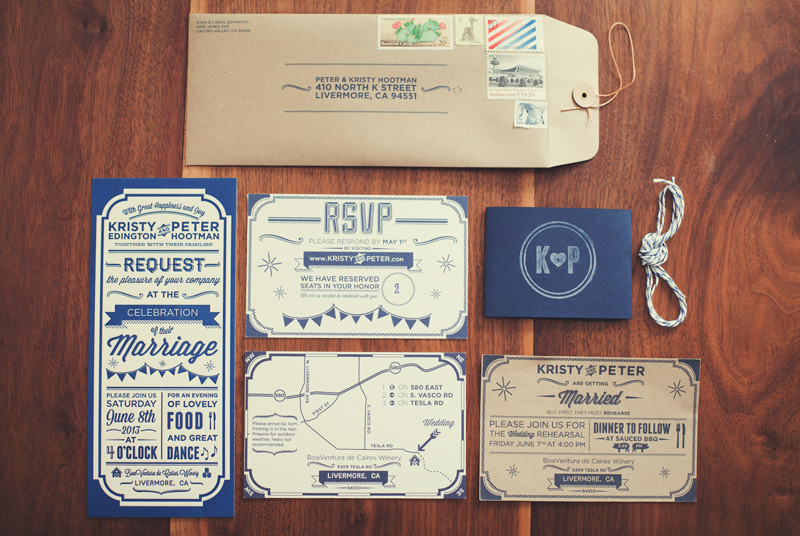 They were created with a custom stamp and navy ink. All and all it was very rewarding to be able to make all this for our wedding and we were both very happy with how it all came out. We also want to say thank you to all our family and friends that helped us make all of these. If you are looking to have invites made please feel free to contact me. Hope you enjoy. Posted on Ohsobeautifulpaper.com Go check it out!